Walt Disney was a pioneer in the art of animation but by the mid-fifties due to the increasing costs of producing animated films, Disney began to specialize in producing live-action films. The films explored in this book include such classics as Old Yeller, The Shaggy Dog, Pollyanna, The Absent-Minded Professor, The Parent Trap, Mary Poppins and The Love Bug. But the films covered also include some wonderful, yet lesser known Disney titles such as Toby Tyler, Babes in Toyland, Miracle of the White Stallions, Savage Sam, Summer Magic, Blackbeard’s Ghost—and many more. 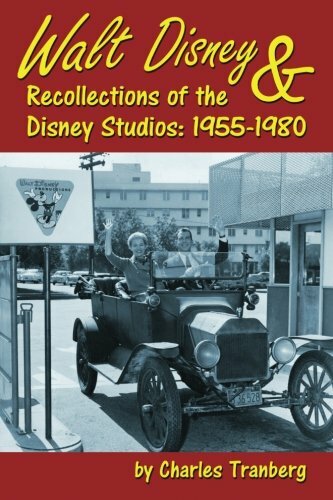 The book’s main focus is on the live-action films that the studio produced from roughly 1955 thru 1980 and the people who were part of them including a solid stock company of actors who audiences identified immediately—even if they didn’t always know the name of the actor. Many of those actors give their memories in this book as do several others including Fess Parker (Davy Crockett), Tommy Kirk (Old Yeller, The Shaggy Dog), Ann Jillian (Babes in Toyland), Billy Mumy (Rascal), Arthur Hiller (director of Miracle of the White Stallions), Marta Kristen (Savage Sam), James Drury (Pollyanna, Ten Who Dared), Eddie Hodges (Summer Magic, The Happiest Millionaire), Peter Brown (Summer Magic, A Tiger Walks)—and many more.